J. TAVERNIER, « Élamite. 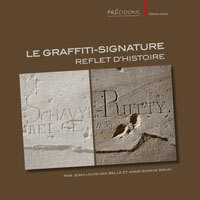 Analyse grammaticale et lecture de textes », Res Antiquae 8, Bruxelles, 2011. Elamite, a limited text-corpus language, was spoken in southwest Iran at least from c. 2350 till the fourth century BC. In this article a general overview of the Elamite grammar (writing system, phonology, morphology, and syntax) is presented. Following this presentation some texts will be discussed.